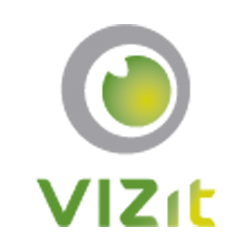 In 5.0, Vizit has a whole new data structure that allow for more advanced features such as email notifications and better caching. To complete the upgrade process, please follow these steps if you have comments in 4.1 that you would like to see in 5.0. In Central Administration navigate to System Settings > Manage Farm Solutions. Click on the SXMigrationAssistant.wsp item in the list. Deploy the solution to the Web Applications that have comments you would like to migrate to 5.0. Next, navigate to each Site Collection where there were comments in 4.1 and activate the "SXMigrationAssistant Step 1" feature. SXMigrationAssistant Step 1: Migrates all comments while leaving their 4.1 data structures in tact. After the comment data has been migrated, confirm that the migration was successful by opening documents that contained comments in 4.1 in the new 5.0 viewer. Please note that you will have to open the SX side panel for highlights to appear. After you've confirmed that comments were successfully migrated, activate the "SXMigrationAssistant Step 2" feature. SXMigrationAssistant Step 2: Deletes all comment data structures that were used by 4.1. Both of these features will auto-deactivate after they have run. Repeat steps 7 through 10 on each Site Collection that had comments in 4.1 that you would like to migrate. After all comments have been migrated, retract and remove the solution from the Manage Farm Solutions page in Central Administration.